We wrote many articles on SEO, here are top 50 SEO tips to get your website nicely ranking in Google search result, hyperlinked texts are given for the available important articles those are previously published. We have hyperlinked only most important articles (otherwise, it will look like a sitemap); you will find separately written articles for most of the points below in our SEO section. Meta keyword tag has no effect on SEO nowadays, but you might get a keyword stuffing penalty for abusing it. Use hyphen ( – ) instead of underscore ( _ ) for building your URLs. Always use alt and title tags for all images. Pay attention to title and meta tags. Visitors to your website before they click to scan the search results. Increase the size of your website, add more pages, result: more domain authority so, better Google attention. Focus on landing page optimization always do an cost benefit test for best results. Use the url of your competitors and find quality link partners . Create an account in Alexa and request for reviews in your website, just like we have under the Tag cloud. Measure and optimize the speed of your website. Try to add high quality and loyal followers to your twitter page increase your twitter pagerank. Do not repeat your keywords again and again in your title tag, header tag, or URL. Check for broken links regularly and do not use hidden text or links. Start a wordpress blog and post within first 120 seconds, it will be crawled by googlebot. Provide a higher text / code ratios by placing more content on a webpage. Do SEO analysis of your domain, Alexa ranking, age, rate of indexing, Dmoz listing and more. Facebook places: The latest location based social media app for you iPhone. For optimal site speed and always choose the right server company. The AdMax Seo toolbar, a new seotool addon for firefox or your mobile. Google does not know what the original source of the content is! But, do not abuse it. Beware of incoming link to your site through URL Shortener. Read about SEO before you start link building. New SEO tool SEOlab: use free trial version for SEO analysis for your website. Think of putting user reviews and references on landing pages to increase your conversion ratio. Use tools like YSlow and Web Page Analyzer to speed up your site to test / improve. Focus on the interesting contents those automatically provides good inbound links. Stay up to date with the latest SEO trends. An effective landing page provides a higher conversion rate. Link to pages with the keyword in the anchor text. Research keywords with Google Adword Tool + SeoQuake for keywords density study. rel = nofollow on internal links is bad for search engine optimization. Make sure the important keywords of the page have the highest keyword density, but not keyword stuffing. Use CSS + divs instead of tables, it reduces the size of the page and improves speed. Optimize a page with 3 keyword variations, the exact match, an alternative and the plural of the keyword. If your company have multiple locations, use each location to create a separate landing page. Content (titles, headers and text) must be clearly legible. A “coming soon” page with meta tags is better than a blank page. See what are the other sites besides your website on the server, if they are spam sites, try to move; though peoples opine “bad neighborhood” no longer is counted. Collect incoming links to sub pages of your website, not just to your homepage. Stick to the 3 clicks method (=user will get anything within 3 clicks) and make sure your menus are search engine friendly. For a separate blog / forum : use a sub domain for a large website and a subfolder with a small website. Make some keywords bold on each page, 1 or 2 times is enough. Create effective landing pages to increase your conversion rate. More than one H1 on a page is not a good idea. Take some free SEO website scan and view your domain age, Alexa ranking, google pagerank and more. Keep your SEO maintenance. 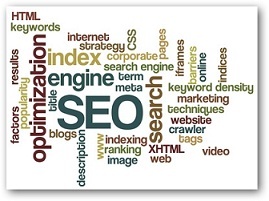 Search engine optimization factors changes and your so your competitors. SEO Tips and Tricks can change a domain completely, using these SEO Tips you will be able to position your blog or website within the first 1-20 results in Google search. These are a huge list of free tips to get more visits. I would like to particularly stress the importance of having a clear, unique and useful content all the time because this is something that visitors would really appreciate. Also coming up with your own quality content takes time, the benefits are huge and will eventually make your site even richer. This will definitely attract more people who are looking for content that is evergreen, makes sense all the time. Definitely. Search Engine Optimization is just to “show” the search engines “look I have written this, this might be helpful for others” more quickly but in long run, the content will itself do the SEO. Thank you again for the enthusiastic kind words Dave. Cite this article as: Abhishek Ghosh, "50 Google SEO tips to get more visitors," in The Customize Windows, April 2, 2011, April 19, 2019, https://thecustomizewindows.com/2011/04/50-google-seo-tips-to-get-more-visitors/.